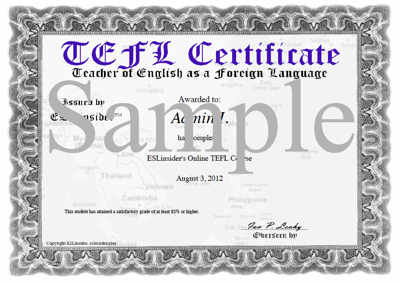 Get TEFL/TESOL certified online. 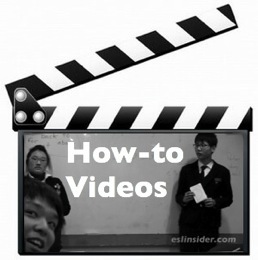 Get engaged with these video rich online courses especially focused on teaching English to kids in East Asia. 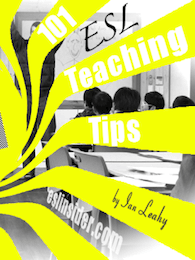 The Lazy Teacher's Guide To TEFL is a simplified training guide to teaching English abroad. 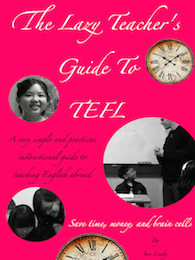 This guide takes a less is more approach to TEFL. This can be especially good for beginners. It is designed to not overwhelm you with extraneous information. You can only truly learn small bits of info at a time. If you are exposed to too much information in a short period of time then you won't retain it. Some courses can overwhelm you with information. This strips out the non-essentials and focuses on what really matters. It is a training guide that will save you time and make your entrance into the TEFL world much easier. You can read reviews and buy it for a few bucks on Amazon. Thinking about teaching English in Japan, Korea, Taiwan or China? Learn about the differences between these countries, how to write an excellent ESL resume, where to find ESL jobs, the differences between public and private schools, about visas, etc. Read the updated version online here. This is a summary of the classic book How to teach English by Jeremy Harmer. It's a simple, practical and compressed guide for teaching English. Watch over 100 videos and learn: lesson planning, warm-ups, icebreakers, ESL games and activities, teaching tips, classroom management and more. Learn a 101 teaching tips for teaching English as a second language. You can read these online or listen to them. Learn: how to speak in front of your students, classroom management tips, tricks to keeping your students interested and much more. 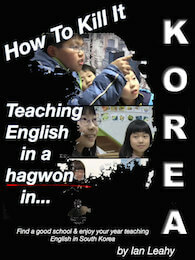 This is an in-depth guide on teaching in a hagwon in Korea. It will help you to avoid any of the horror stories that you may have heard and teach you how to actually teach in a hagwon. Learn more. 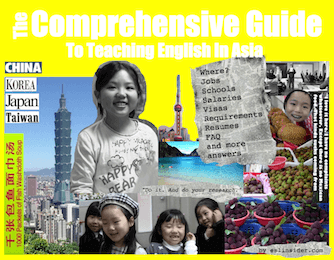 The blog is filled with useful and insightful articles about teaching English in Asia.